2. The problem came back again so whatever they spent was wasted. Our pricing is honest, straightforward and all-inclusive. Travel time is included in our rates. We do not charge extra for using a camera or drain clearing equipment. All our vehicles arrive on-site with all necessary drain-clearing gear. Never believe a price from someone who claims they can tell you over the phone how much it will cost to clear your blocked drain or sewer. NO ONE CAN SEE UNDERGROUND without first putting a camera down the drain or sewer to see what’s causing the problem. That’s what we do FIRST at The Drain Man. Only when we’ve seen inside your drains or sewer will we and you have a clear understanding of exactly what the problem is and how long it will take to clear it. No-one knows drains like The Drain Man. We’ve been doing it for 15 years. You can trust us and our honest pricing policy. We arrive on time and provide a comprehensive quote once we have assessed your situation. We fix your blocked drain and give an accurate recommendation about any necessary future work. To make your life easier we have a No Interest Payment Plan. All it takes is a 25% deposit to get you started, then the repayments are simply direct debited from your bank account every fortnight. 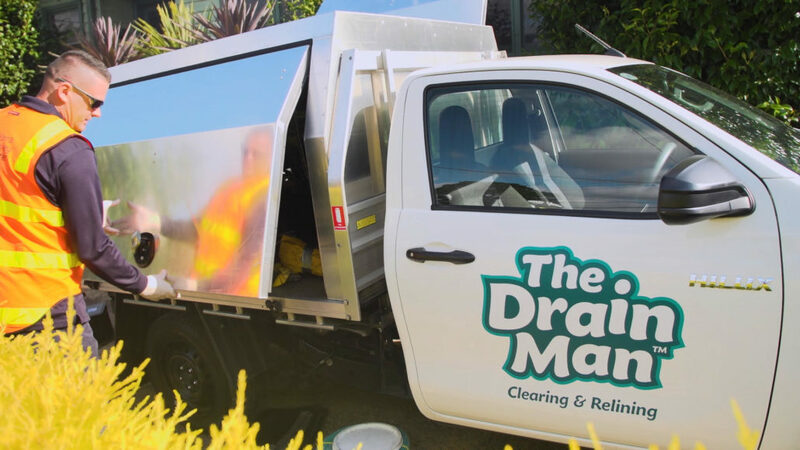 Click here to find out more about The Drain Man No Interest Payment Plan.